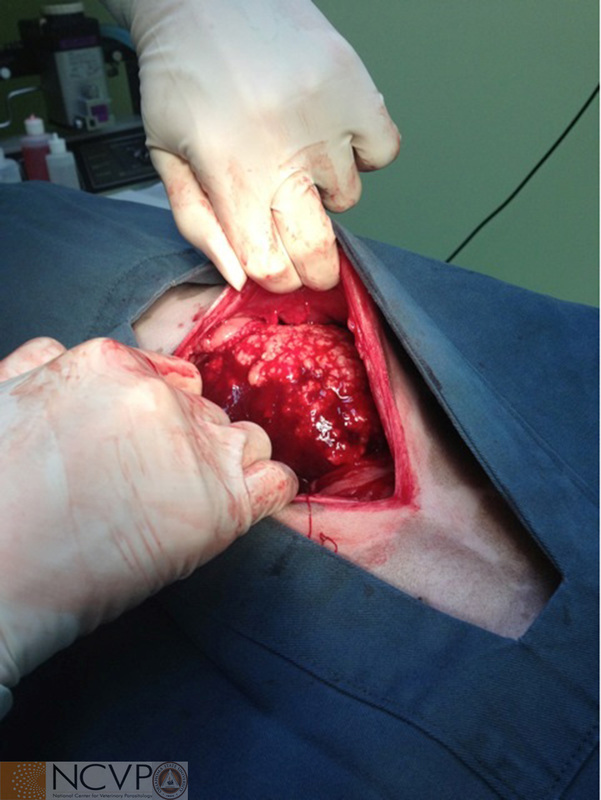 Below are photos taken during surgery of a mass in a dog from Saskatchewan. This is a PCR confirmed case of hepatic alveolar hydatid disease caused by Echinococcus multilocularis. This is unusual because dogs are generally the definitive, not intermediate, host for this tapeworm. 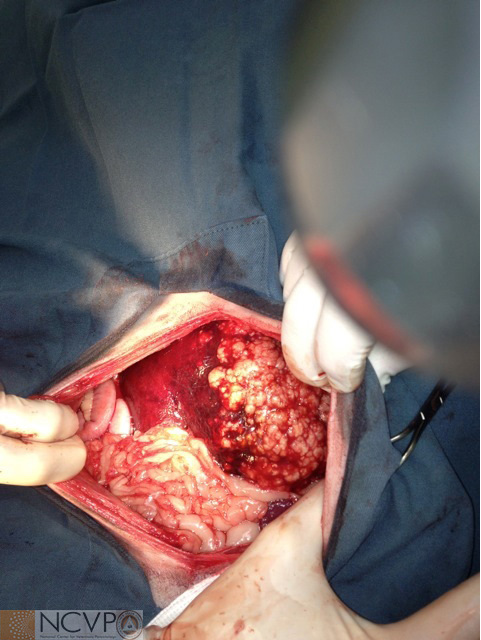 This represents approximately the 5th case of alveolar hydatid disease diagnosed in dogs in Canada in the last 5 years, and suggests that this parasite is emerging as a threat to animal, and possibly human, health in North America. Case provided by Dr. Emily Jenkins, Western College of Veterinary Medicine, University of Saskatchewan, and photos provided by Kent Weir, Langenburg, SK.